Not all academic jobs are created equal. Some focus primarily on research, some on teaching and many are a combination of both research and teaching. How does one decide which academic career to pursue? What are the perks and challenges of each? 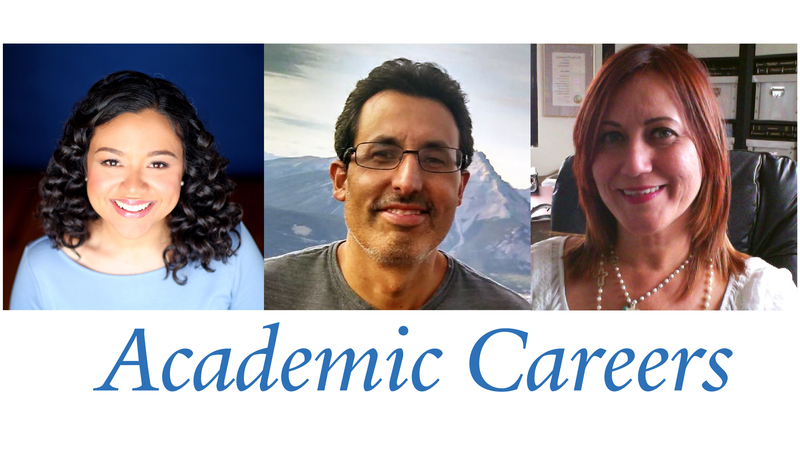 For the first installation of Conversations with Scientists, on February 23, 2016, the Yale Ciencia Academy for Career Development (YCA) hosted an online panel about academic careers (in research and teaching) featuring Dr. Idhaliz Flores, Professor of Microbiology and Professor of Obstetrics and Gynecology, Ponce Health Sciences University, Dr. Rafael Irizarry, Professor of Biostatistics, Harvard T. H. Chan School of Public Health and Dr. Verónica Segarra, Assistant Professor of Biology, High Point University. The panel was moderated by Dr. Mónica I. Feliú-Mójer (YCA Program Coordinator) and Dr. Giovanna Guerrero-Medina (YCA Principal Investigator). Panelists shared insights into their successes and challenges, their day-to-day lives, and advice to graduate students interested in pursuing academic careers. They also shared how they got to where they are: what inspired them, milestones and who encouraged them. They talked about their academic research and teaching activities and how they are engaged in giving back to different communities through education, outreach and advocacy. YCA 2016 Fellows—graduate students at different training stages in biomedical and behavioral sciences—asked questions about funding, the challenges of being a woman in academic science, obtaining an academic position in a competitive environment, doing research in Puerto Rico, and the importance of mentors, among many other topics. Know the difference between a scientific advisor (someone who advises you on your thesis or research project), a mentor (someone who can offer guidance and advice beyond your project), and a sponsor (someone who advocates and opens doors for you). Here’s a slide about the differences between the three. Be proactive, passionate, and take advantage of opportunities (as random as they may seem at the moment). Be resilient. It’s important to learn how to bounce back from bad experiences and move forward. On work-life balance (or integration): know what your priorities are, learn to say no. Time management is hard, so you have to be intentional about it. Once you are ready to begin applying for academic jobs, make sure you understand your department's expectations regarding how you will use your time for teaching and/or doing research. Also, know how much of your salary will be supported by the university vs. by external grants that you will have to apply for. The American Society for Microbiology (ASM) Science Teaching Fellows Program – A program to help prepare doctoral-trained students for science teaching positions at a variety of non-doctoral institutions. The iBiology Scientific Teaching Series – A collection of videos that provides current and future undergraduate biology instructors with the tools to design and implement a student-centered curriculum using evidence-based pedagogy. Scientists Teaching Science – An online course offered by The New York Academy of Sciences for scientists interested in teaching. Ciencia Puerto Rico (CienciaPR) – The largest community of Puerto Rican scientists and one of the largest networks of Hispanic/Latino scientists. Use this network to find and connect with mentors. National Research Mentoring Network (NRMN) – A national consortium providing mentorship and professional programming for trainees in biomedical, clinical and social sciences. Advice for students interested in academic jobs from panelist Dr. Rafael Irizarry-Quintero (written for students in statistics, but useful for those in other disciplines). Watch the video of the conversation!